So much stuff, too little time and the site grows! There has been a lot to say over the last few weeks…and I am loading the repository for the next blog already. POCUS galore, with some rare images to help you learn, some brilliant tweets and some excellent blogs. Not to mention some very interesting papers. And the beauty of it all is you get the highlights right here from the comfort of your own clicks. We have a medical artist! I am delighted to announce that Dr Hugh Gifford @hughgifford has joined the ranks and will be producing some amazing doodles for us, along with our infographics etc. 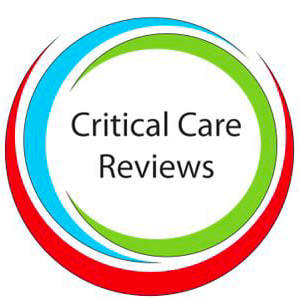 See his featured page here, where we showcase the best of the Critical Care Symposium Manchester 2018. My POCUS A to E for ITU seemed to go viral! I enjoyed designing it and you enjoyed downloading it. Please click the pic here and you can get your own modifiable Keynote copy. I presented this at CCS Manchester as a complete talk on POCUS for Intensive Care and I’m soon to present another version at the Welsh Intensive Care Society in June. Click the Pic to go to the registration page for this meeting and hopefully see you all there. Looked like a fabulous meeting as ever. Headed by Manu Malbrain @manumalbrain and attended by my good friend Adrian Wong @avkwong. Here is Adrian’s summary on Twitter of most of the POCUS moments. Below are the snippets from the whole session. Can we have an electronic copy chaps? This is a great one to have on your shelf…and written by some good friends of mine too. Oh and while you are here…we have most of the blocks you need to know about within our regional anaesthesia portal. BSE Level 1 accreditation is here!! So this is worth a look….but is this just FICE and a little more??? The new Butterfly is nearly here!! Click the pic to learn the story behind this much anticipated and most exciting development to date! Lyness does March 2018 Critical Care trials of note! Why do those A-Lines fail? Blockage? Perhaps not where we think…and interesting to see the average life of an a-line is 13 days! Maybe not, as this article from Anaesthesia points out. Peri-operative intervention trials are taken apart here….as there are just too many of those, you know…confounders! Get them to a Neuro-ICU if they bleed…surely!? Well, maybe not and this find from Matt Rowland shows this may NOT be the panacea….you judge for yourselves! Is citrate safe for cancer and CVVH? Get up and about…this is why! A nice paper looking at smallish numbers, but demonstrating the LV stiffness that develops with age may be halted by exercise. Preventing HFrEF with HIT could also save a fortune! Oh…and quit the fags as well! Does registration of your trial bias publication? This article in Anaesthesia discusses whether trials registered, were published over those that weren’t. It’s also interesting to see the time taken from submission to publication…701 days!!! Does cross-checking your actual management plans with a colleague reduce error….a great study! Will I die if I’m admitted out of hours? An interesting read here and the results may not be what you expect. Perhaps strain is the key. Take a look. Give those older guys Special K!? So the GERIKET trial results are out. To me, from the outset, it would seem that giving the older generation Ketamine even in subtherepeutic doses would cause problems……evidently not! It is getting the recognition it deserves! In my opinion, we should all learn POCUS. Perhaps once patients become aware of it’s capabilities, they will soon expect that we are all competent in it? Take a look at what’s going on in this months Echo Research and Practice. Liver blood flow and cirrhosis…what Doppler can tell us. Some light reading for you here! Brilliant graphic of cardiorespiratory interaction with this condition. Thanks to HeartToProve. POCUS could be going A.I! See what many machines could do for us…some already can! Jacob Avila takes us through the various methods of measuring RHF in this fabulous video. Check out the Sonographic Case of the week! POCUS that arrhythmia! Thanks to Ekrem Musalar. Cassi Marsden shows us what she picked up at work! J Christian Fox and more poor EF! PFE’s … here they are. Thanks to Amr Abdelbaky for these and the start of a chain on this. Papillary fibroelastomas of the mitral valve…not infective vegetations. First I had heard of these! And another papillary fibroelastoma on the mitral valve, from Ivan Stankovic! ‘D’ for Dan Mirsch shows us the ‘D’ sign in PE! Metastatic chest and the power of POCUS! A nice image from Vibhu Sharma here. The tricuspid valve from above! Ivan Stankovic sends us this lovely image! Hanging clot in the RV! So this clot was found oscillating its way around the RV on TEE. Probably accounts for the CVA in this patient. Vibhu Sharma caught this one on FAST scan. Bleeding into the pelvis and this lesion was found around Morrison’s Pouch! A large invasive neuroendocrine tumour, extending from the liver into the kidney. Check out this Mobitz 3:1 block! Thanks to Phillipe Rola for this. J Christian Fox fans through some ascites…like a breaking-wave in fact! Donald Oxorn shows us this one…we saw one last week as well. A rarer cause of AF…membrane in the LA! Important learning points regarding the RV! A nice article delineating some of the nuances of this condition. Fabulous stuff here demonstrating the deployment of an Amplatzer device for ASD repair! Thanks to Ashley Nisbet for this one! Non-compliance with anticoagulation will do it! No…a prominent Eustachian Valve in fact! Have a look at this fab piece from Chris Partyka on this grey area! How to peer review without offending too many people. Thanks to Adrienne Shaw. See this brilliant compendium here from Don’t Forget The Bubbles! The CT is bust AGAIN! A nice piece supporting the power of POCUS where resources are thin on the ground. Is this a PE??? Take a look and click the brilliant infographic for more info. They help you retain information and let’s face it…are much more fun! The power of infographics. Click this one to take you to the paper too. NephJC take us through that paper from the barbers! We featured this a while back. Evidently, the control of BP may be better achieved when people are a) more relaxed and b) have a better hair-do! Andrew Dixon shows what we should worry about on the good old CXR….POCUS can pick all of these up too, of course! Avoid hypovolaemia and be sensible. What you can look for when drawing IV fluid therapy to a close and dealing with the aftermath. Thanks to the Fluid Academy for this. PAP!! Meaning Penicillin allergic AND pregnant! What are our options? Nice graphic from J Hamilton. Not according to Aoife Abbey! A novel assessment from Eric Levi. A brilliant one from @Kate S-R on scanning the gallbladder. In the ED…did this make a difference to acute pain profiles? Hyponatraemia…give DDAVP to stop the demyelination! We are always paranoid about over rapid correction and stripping the insulation from the pons! This paper shows that adding in DDAVP may actually give us a safer correction. Thanks to Aakash Shingada again. Those fabulous Osmosis guys are back – with headaches! National meningitis day has passed…and in commemoration, here is their fabulous video! And Salim points it out too! Adrenaline may effect ROSC…but we aren’t really sure about survival benefit! Intra abdominal pressure – now APP! 6 steps for abdominal compartment management! Again, thanks to Adrian Wong for this too! We know, but Xavier Monnet tells us why in 3 summary slides. Get feedback…as annoying as it can be! So many choices, but how can we optimise it all. Salim tells us some of the best apps out there in which to improve our productivity and not miss a trick in the digital age! No. 2 is one of my personal fave’s! AKI and all you need! Fabulous set of resources for you to download from the London AKI Network. See you for the next instalment….